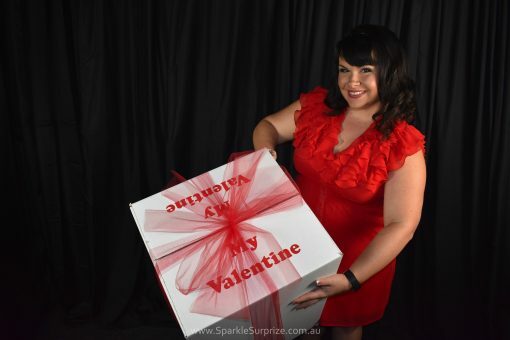 Traditional Valentines Sparkle Surprize - A unique gift idea for your lover! 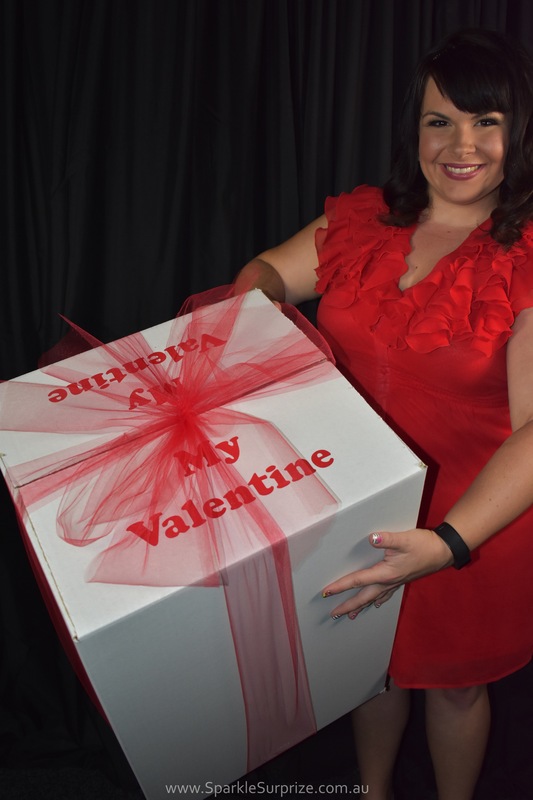 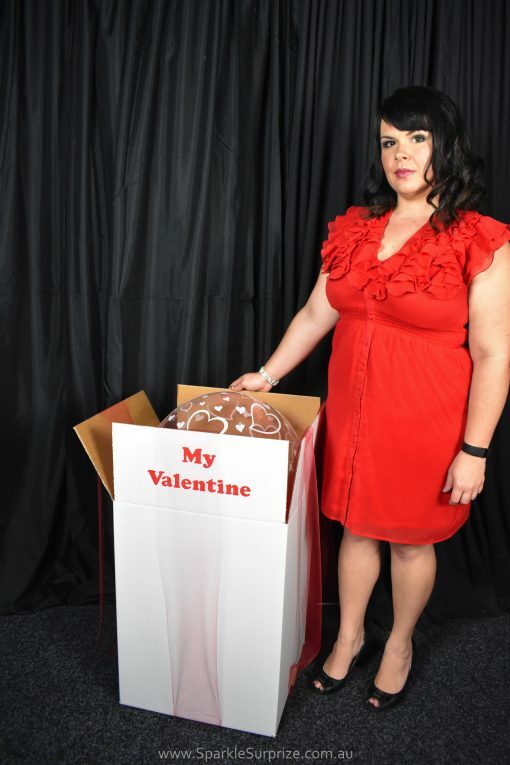 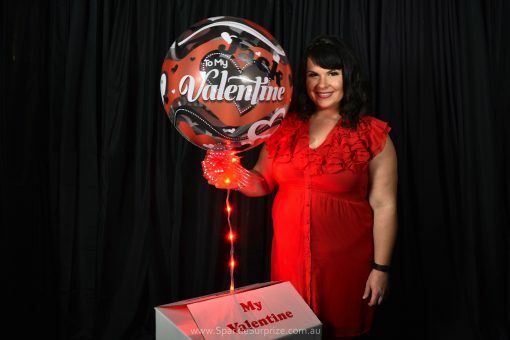 This Traditional Valentines Balloon gift delivery Sparkle Surprize has a beautiful White Box with Red Bow with ” MY VALENTINE” printed on the top of the box. We add other ribbons and balloons to complete the delivery. 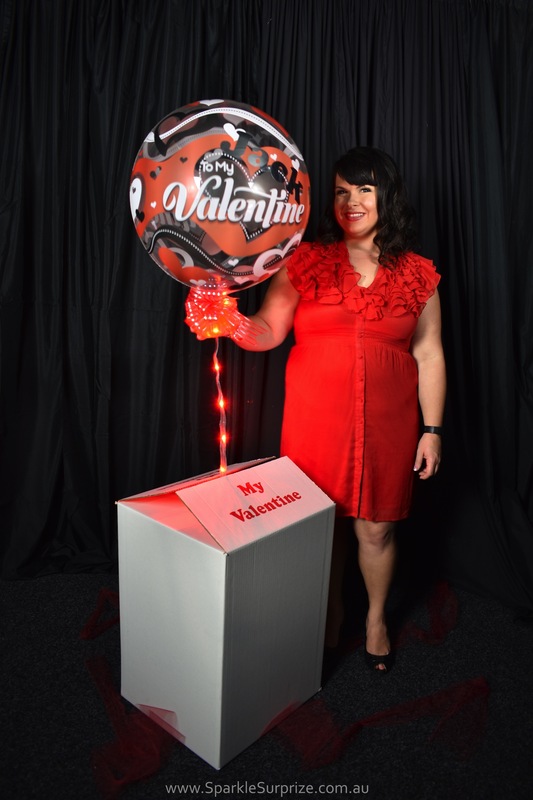 When the box is opened, the balloon floats up with lights attached but never flies away. 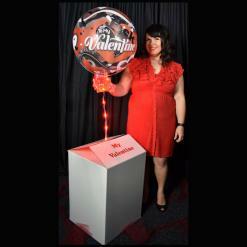 We add a card with a your message to your Valentine. 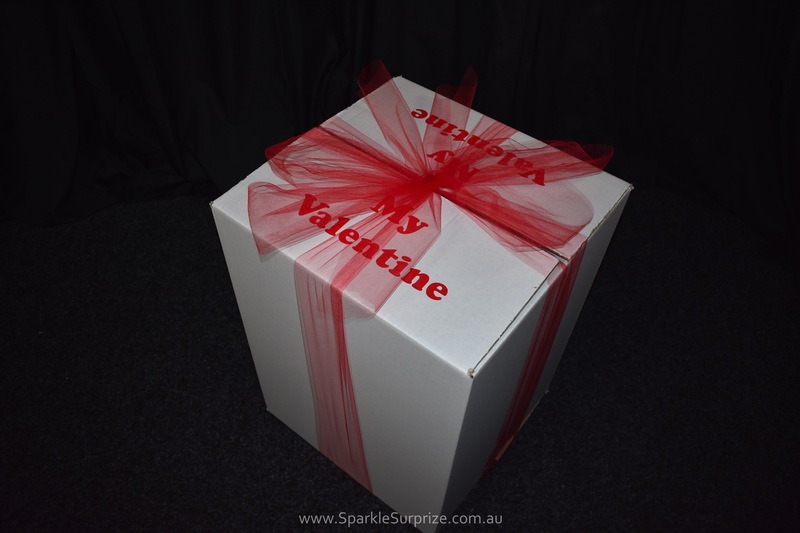 AND we add light up Party Dots on the box to bring the box to life. 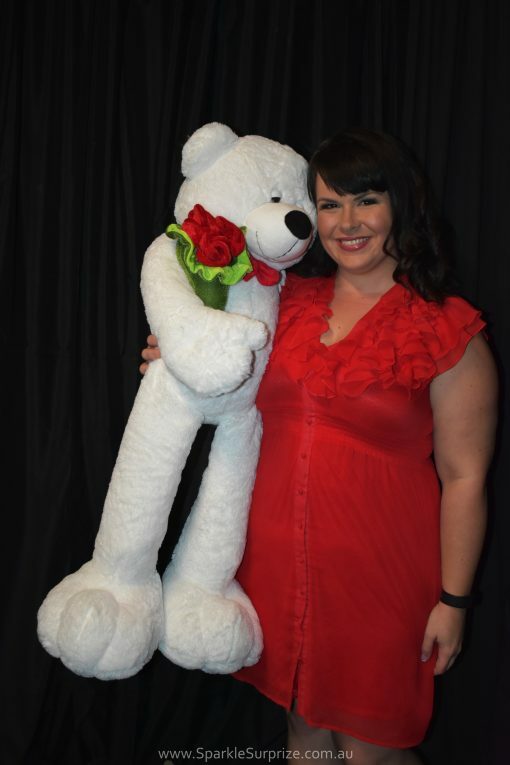 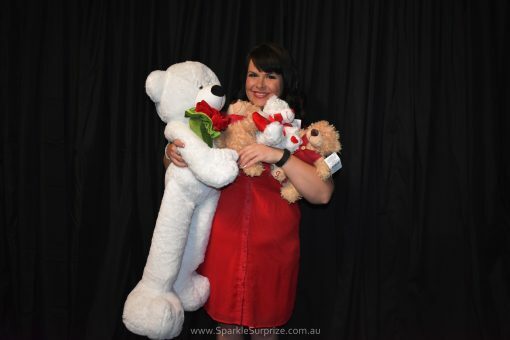 You can add a Valentines Teddy for only $19.95 extra or Chocolates. 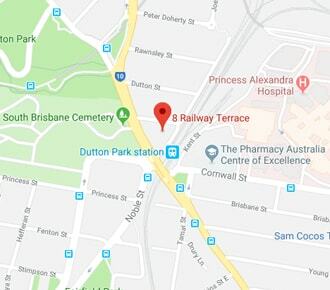 If you have any questions please don’t hesitate to call us on 0418 410 415.